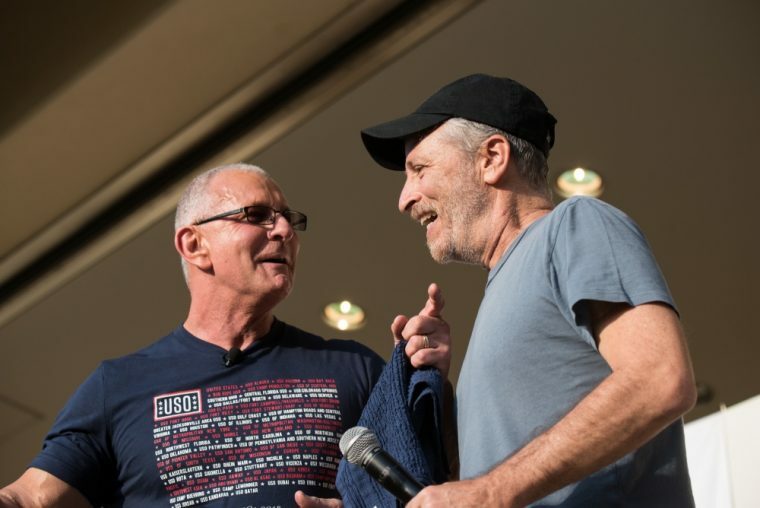 Robert recently took part in the annual Vice Chairman of the Joint Chiefs of Staff’s USO Tour and joined forces with comedian Jon Stewart, UFC fighters Paige VanZant and Max Holloway, and NBA legend Rip Hamilton to entertainour troops around the world, from South Korea to Kandahar. Check out the photo highlights below! Photos courtesy of the USO. Robert shares a moment with Jon Stewart onstage at Yokota Air Base in Japan on April 22. The two were part of the Vice Chairman of the Joint Chiefs of Staff USO tour. The USO’s mission is strengthening America’s service members by keeping them connected to family, home and country throughout their service to the nation. 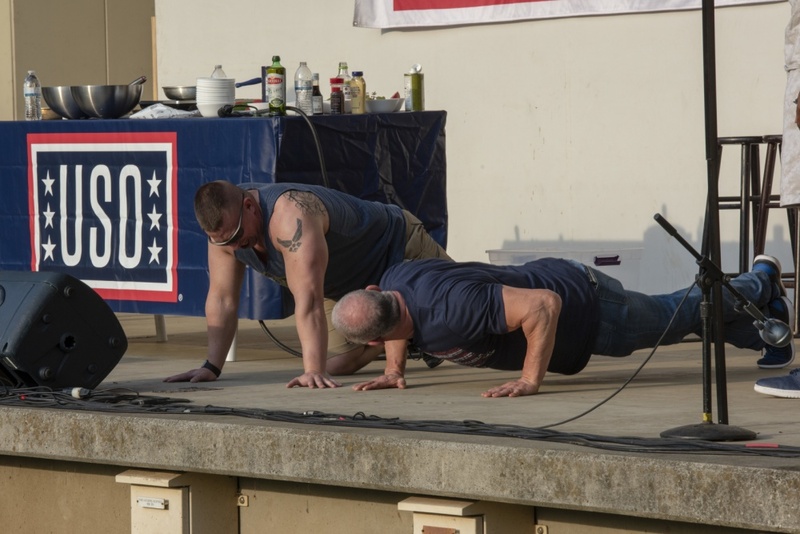 Robert stops his cooking demonstration at Yokota Air Base to challenge a volunteer to a pushup contest. 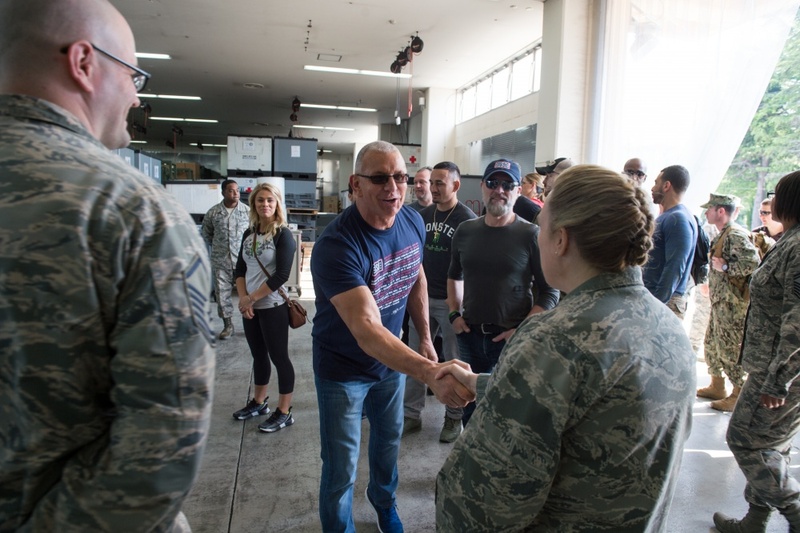 Robert greets members of the 374th Medical Support Squadron as they display how they receive and stage wounded warriors for Entertainers visiting Yokota Air Base, Japan; the first stop on the annual Vice Chairman’s USO Tour, April 22, 2018. 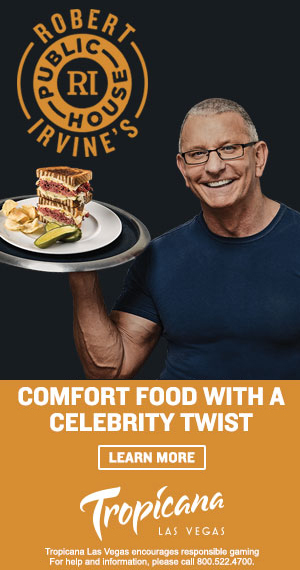 Professional fighter Paige VanZant, flanked by Robert Irvine and Jon Stewart, watches as members of the 374th Medical Support Squadron display how they receive and stage wounded warriors for Entertainers visiting Yokota Air Base, Japan. Robert poses for a photo with a member of the 374th Medical Support Squadron at Yokota Air Base. 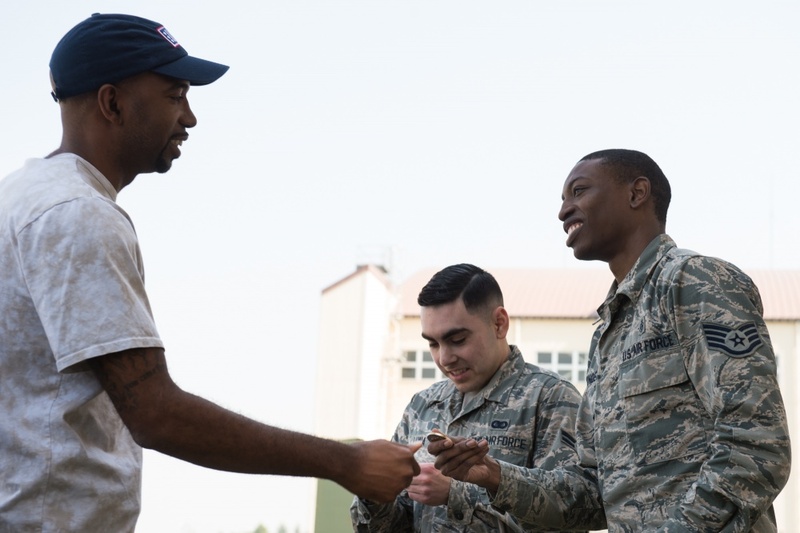 NBA legend Rip Hamilton greets a couple of GIs at Yokota Air Base. 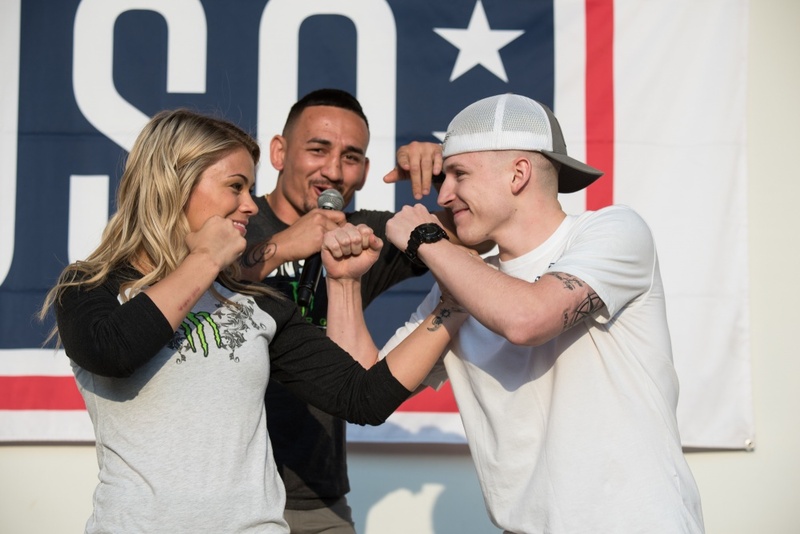 UFC fighter Max Holloway emcees as VanZant and a soldier pretend to square off. 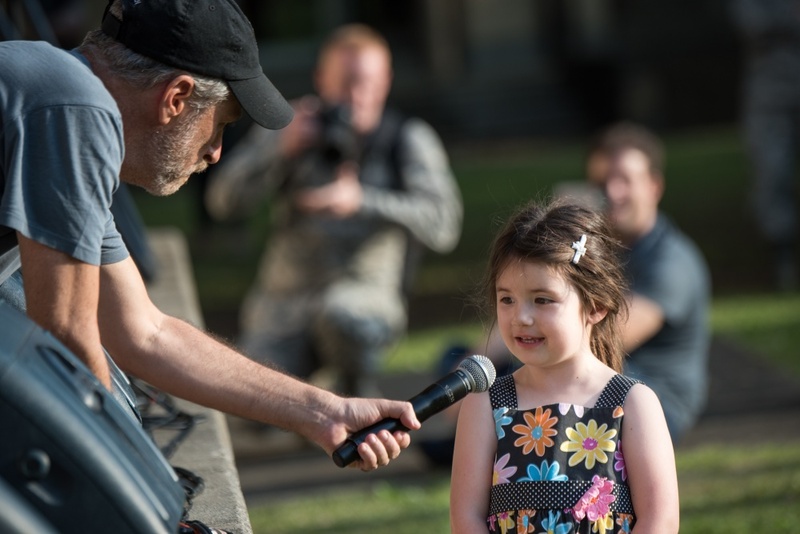 Jon Stewart asks some questions of a child during a USO variety show at Yokota Air Base, Japan.